In his famous farewell address in 1961, President Eisenhower urgently warned Americans to guard against the 'disastrous rise of misplaced power' in the leviathan he dubbed the military-industrial complex. As Eugene Jarecki powerfully portrays in this piercing and necessary book, Eisenhower's worst fears have been realized. The complex has grown so large and powerful, with tendrils reaching so wide and deep into our political system, economy, and culture, that it is dramatically undermining our democracy, fueling an excessive militarism and an imperialist impulse that has propelled the United States into a series of horribly misguided military actions-culminating in the Iraq debacle. 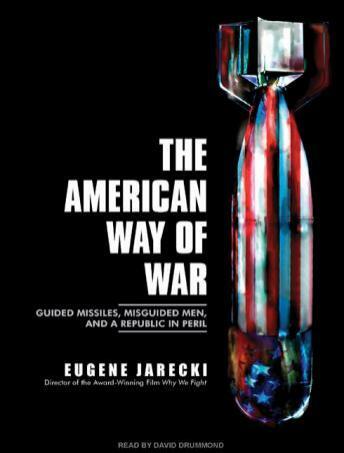 Based on extensive interviews with a who's who of high-level insiders from the Beltway, the Pentagon, and the defense sector, as well as in-depth historical research, Jarecki traces the troubling story of the evolution of the complex and how it so forcefully exerts its corrupting influence. Vital listening at this crucial juncture as the nation grapples with the profound challenge of Iraq, Jarecki's penetrating examination is sure to generate wide acclaim and lively debate.